Go old-school with your morning shave. 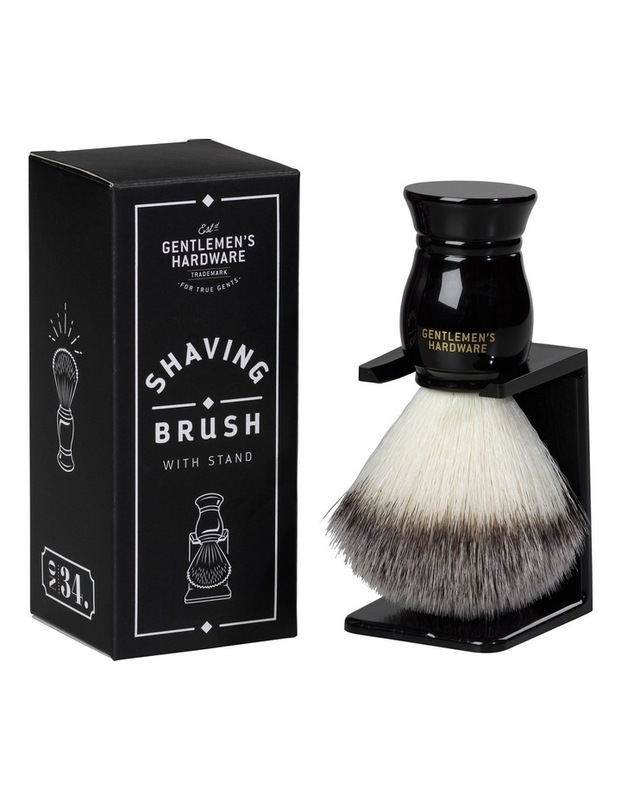 Complete your grooming collection with this shaving brush and stand from Gentlemen's Hardware. 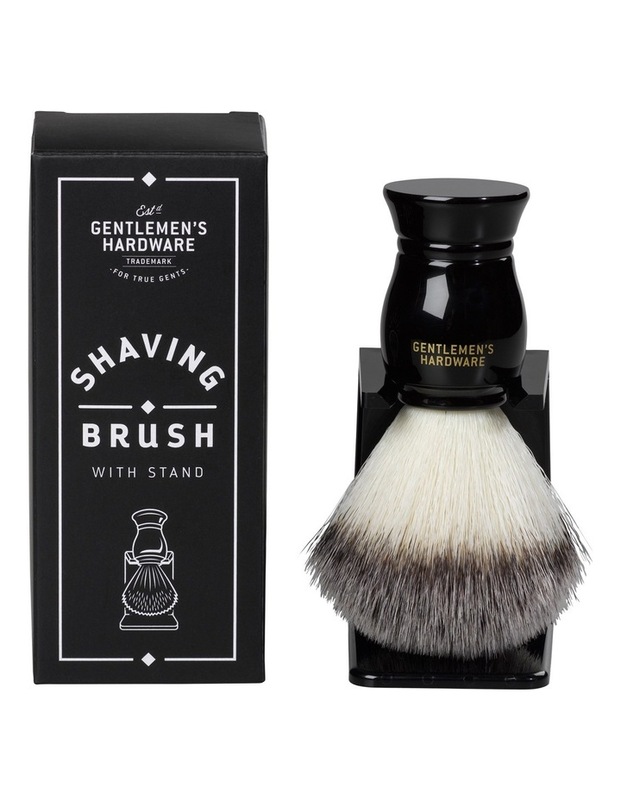 A superior quality synthetic brush sits on a handy stand - a handsome adornment for your dresser, yet a practical toiletry too. Gentlemen's Hardware products have been crafted for the rigours of today's modern life with a vintage aesthetic. Superior grooming for true gents who like things fine and dandy. Size: 130 x 55 x 55mm.